Having been labeled a conservative, Romney must protest more explicitly that he’s not a conservative, which draws more attention to the general election makeover he’s trying to pull off (as seamlessly and unobtrusively as possible), which annoys conservatives already suspicious of Romney’s bona fides, which compels Romney to prove that he is in fact a conservative. So by arguing that Romney is a conservative, the Obama campaign is helping to bring that about. I also see the two frames as linked and not as inconsistent as some are making them out to be, but in a slightly different way—as fully symbiotic arguments that each would not work all that well entirely on their own, that are stronger if yoked together. There's obvious appeal in casting Romney as a weathervane (a “perfectly lubricated weathervane,” as his nemesis Jon Huntsman Jr. put it not long ago): voters want to vote for someone they know, whose character they trust. But relying only on this framing also runs the risk of making Romney seem innocuous. If Romney just tacks direction to please whatever audience is before him, a suburban swing voter might think to himself or herself, then maybe all these things he's been saying the past couple years have just been bait for those gullible GOP primary voters. Surely, he'll tack back for the general election and, if he's elected, orient himself around the center of the country he's supposed to govern. The problem with attacking Romney only as a right-winger is likewise plain: For most of his brief political career, he wasn't all that conservative, (heck, he was pushing anti-car smart-growth policies!) and even when he's saying the conservative things he's been saying these past few years, his bearing and temperament do not suggest a bona fide fire-breather. The authenticity obsession about Romney has become a national, wasteful pursuit like the Iraq invasion and occupation without the laughs...All of this is a crock. We...are fetishizing one of modernity’s most potent fantasies: that there is a deeply internalized “authenticity” which dramatically reveals our true, inner selves. Yes, we want to know, truly know, who these people are and who can blame us? And the task of excavating this “authenticity” seems especially urgent in the case of those few who wish to be our president. But we’re on the wrong track and we’ve been on it for a long time. Whoever he is, the real Romney is mostly irrelevant. Romney, like all of us, performs the roles he must within the public institutions he inhabits and the different dramas which he plays a part in enacting. There are reasons why he performs on the stages he does—he’ll never be any kind of liberal—but he doesn’t just play the same character every time. Each of those institutions will have a different set of observers with which the individual engages. The audience, venue and dramatic script shape and constrain our public performances. To perform the wrong script at the wrong time is entirely possible—and a contradiction between verbal and non-verbal cues often occurs—but significant social costs will then accrue to the performer. Even famously “conviction” driven politicians like Ronald Reagan, George W. Bush or Paul Wellstone behaved in a manner that could only be socially interpreted—once an individual’s “inner direction” engages in a variety of externalized, relationally-defined episodes, the protocols and rules systems of those episodes channel the behavior of even the most willful actors. People are what they do, and part of what presidential candidates must do is project a fully integrated depth of being before multiple audiences. Romney’s political problem—his poor job performance as a professional politician—is that he has an almost poignant difficulty in managing to do that. We will probably never find out who the real Romney is, just like we haven’t found out who the real Obama or the real Lincoln is. And it won’t matter what he is not telling us about his Mormonism or how many nightmares he’s had about that terrible day in Beaulanc, France in 1968. But who controls Congress will matter a lot as to whether we see the Romney who basically agrees with Obama about health care, but just wants to figure out a way not to tax his own class to pay for it, or the Romney who will abolish Obama’s health care reform bill, defund the EPA and the NLRB, and redistribute money from the elderly and the poor to the rich. That is a play we should never want to see performed. I can’t make it any more real for you than that. To this, I would add just one more thought—that yoking the two frames together works even better when they are combined with the third frame at Obama's disposal: Romney as the plutocrat who (after a blessed start in life) made his millions slicing and dicing companies, regardless of the human collateral, and who now benefits from a very low tax rate on his fortune. This framing makes each of the other two more persuasive. 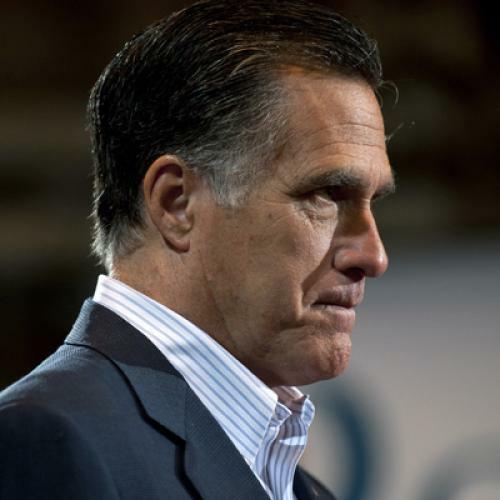 It buttresses the notion of Romney as one without a core—he'll do whatever it takes to get on top. And it explains Romney's current conservatism, making it seem more than just sheer opportunism at least when it comes to taxes and the economy—of course he's embracing the Ryan plan: It lowers rates for people like himself, even to the point of saving his own sons millions in estate taxes! I've gone at some length about this, but in a election as static as this one may turn out to be, I suspect we'll be talking an awful lot about these messaging distinctions. The same questions of consistency can of course be raised about Romney's messages about Obama— how can Obama be both incompetent (“he's in over his head”) and also a radical social democrat relentlessly driving us to the European model? For now, I'll leave others to reconcile that one. But I'm pretty sure that Obama and his minions will manage to handle the tripartite message, like one of those weird old medieval weapons, that they will wield against Romney, the vulture capitalist who lacks a human core but has embraced a conservative agenda to lead his fellow Republicans and plutocrats to victory in November.